Pass Your DOT Medical Exam! Dr. Philippe knows how important it is that you continue your livelihood as a commercial driver. With his extensive knowledge of the DOT Physical Exam medical guidelines, Dr. Philippe will steer you through the DOT Physical Exam requirements so you can Keep on Truckin’. Looking for a DOT Physical Exam or CDL Physical Exam in Hollywood, Florida? You’ve come to the right place! We are at the intersection of I 95 and Hollywood Blvd. Right across the street from the library. Dr. Fritz Philippe, DC, is a National Registry Certified Medical Examiner performing CDL DOT Medical Exams for Commercial Drivers. He was born in Port-au-Prince, Haiti, and grew up in Miami FL. Dr. Philippe earned his Associate in Science in Nursing at Miami Dade College. He then relocated to Orlando to further his education and earned his Bachelor of Science degree in Health Administration at University of Central Florida. 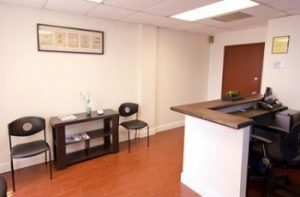 Dr. Philippe decided to move to Brooklyn NY, where he worked as a nurse and administrator in various hospitals such as Brookdale and Jamaica hospital. Unsatisfied with the care and treatment that his patients were receiving, Dr. Philippe sought new ways to achieve optimal health by changing his diet and lifestyle. 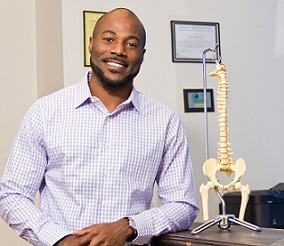 As a result, he became an adamant believer in the importance of a natural, holistic approach to patient care, which led him to pursue his Doctorate in Chiropractic Medicine at Palmer College. Dr. Philippe ardently emphasizes patient education and gives his patients the knowledge, confidence, and tools necessary to take an active role in their recovery to optimum health and future injury prevention.